Mober, an all-Filipino app was recently launched with Piolo "Papa P." Pascual, one of the hottest and most loved actors of today, as its brand ambassador. Everyone loves instant gratification. Flick the switch to turn on the lights. Press a button on a remote to turn on the TV, press a number to call people you like. It’s the same thing with buying stuff like appliances. But using them immediately, well, you have to wait. 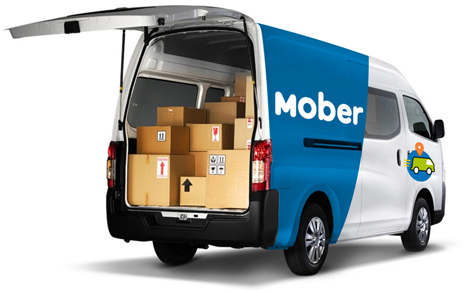 Mober solves that problem.. With Mober, you don’t have to wait for a couple of days to inspect your freshly-bought items. With one click, your stuff will be delivered to your doorstep. Talk about solutions. In this day and age, people do get trust issues. Being lied to or not getting your deliveries on time or at worst, not getting your stuff at all. Everyone loves pets (if you don’t, then too bad for you, you’re missing out on a lot of unconditional love). Mober loves pets as well. If you’re worried about bringing home your favorite pet, well Mober can take care of transporting them. You can do your chores while you’re just waiting for your awesome pet companion to arrive. Mober can even take your doggy to his monthly grooming session, safe and sound. How cute is that?